A Kitchen that Makes Us Feel Comfortable! 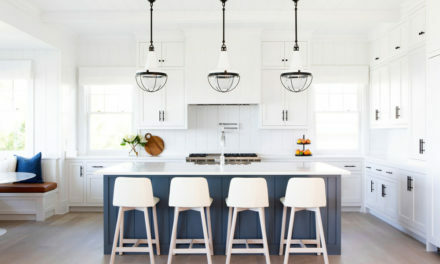 There is something about this beautiful white kitchen designed by Martha’s Vineyard Interior Design that draws us in and makes us feel comfortable. Imagine a wonderful evening with friends gathered around the island. Or, envision how a family might enjoy a quiet morning breakfast together, while planning the day ahead. The classic U-shaped layout of this kitchen is familiar. We’ve seen it before and we know how it works. Big appliances on either side with the focal point kitchen sink centered under the expansive window. Simple! However, what truly makes this layout work is the center island. Without it, there would be wasted space and an inefficient layout. 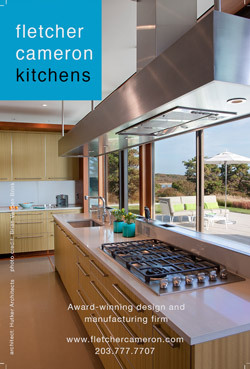 The island acts as the landing spot for work areas, whether it be food prep or dish clean up. But, it is also interesting to note how the island, while acting as the social center, also provides the buffer between cook and guests. Casual seating allows for comfortable conversations to take place well out of the way of the busy chef. Do You Have the Guts for Open Shelves? 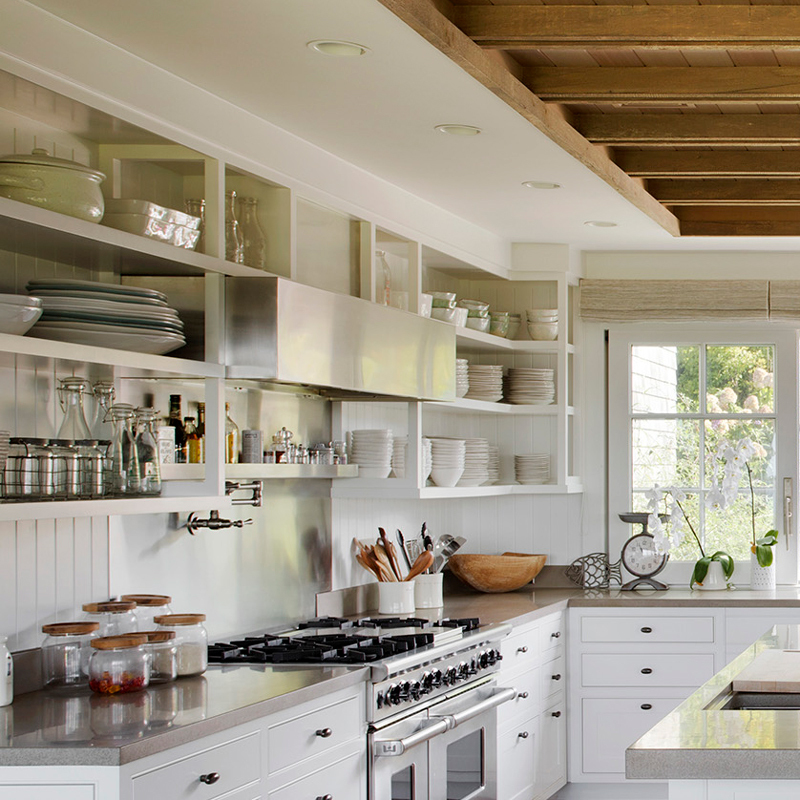 It’s takes some guts (and good organization habits) to have open shelving storage in your focal point kitchen. These open displays are transparent and authentic. We get to truly know the people working and living in this space. This authenticity lends a feeling of casualness and unpretentiousness. However, consider this bit of advice: before making the commitment to open shelving, have a plan for what is going to be stored there. Also, make sure there is plenty of hidden storage to keep the not so attractive stuff well out of the way. 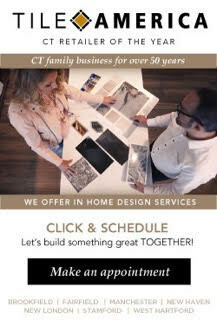 Every home needs a central place to organize the family matters. This little nook off to the side acts as command central for the family. Paying bills, doing homework, making schedules; all tasks can happen at this cozy little desk. A tackable, or writing surface, completes the details required to make it function properly. Tying the chair in to match those at the island help make the desk feel part of the kitchen, yet with views to the rest of the home. 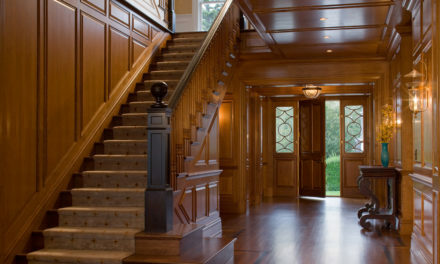 The wood coffer detail at the ceiling adds a textural interest to the space. 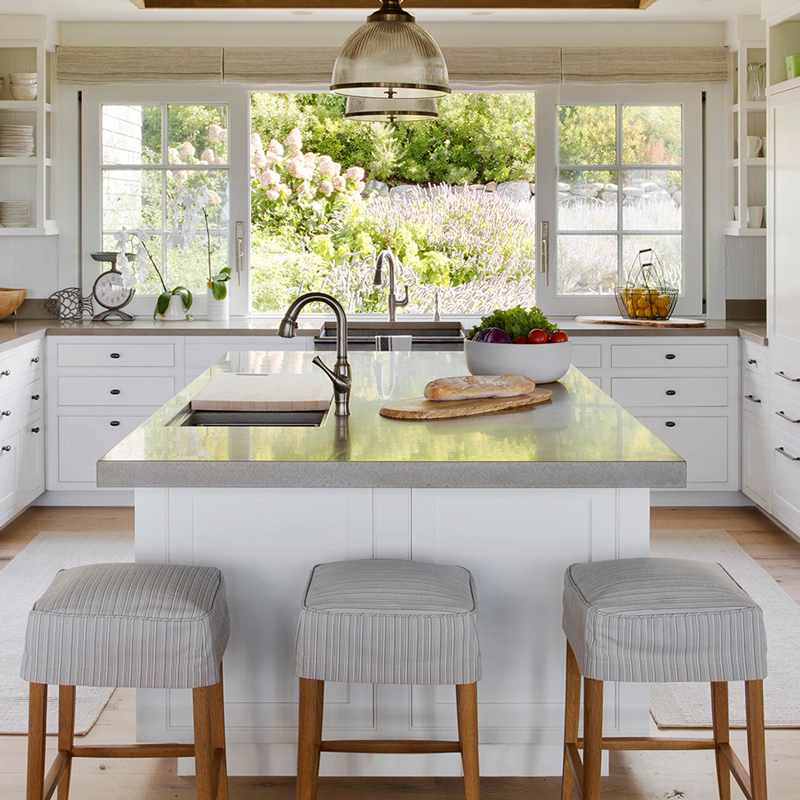 Not only does it create a break from the white of the kitchen, it also leads our eyes to the focal point the kitchen – the view to the outside. Ceiling details can impact our spaces in many different ways, adding a darker contrast helps to trick the eye into seeing the space as taller. Imagine the space with a flat white ceiling. It just would not feel the same. And yes, do not forget the power of windows. They bring light and nature into our homes, while allowing us to connect with the world around us. By the way, the windows in the middle glide open, creating one large source of fresh air. All in all a perfect focal point for a most extraordinary kitchen! Design Exploder is a “tool” used by YOUR MODERN COTTAGE to help explain why we like (and don’t like) the homes that we live in. It explodes design elements into their basic form and gives us insight into how designers think. We hope that this tool will empower you to understand your own homes and give you the confidence to make the changes that you need in order to improve your life. We look forward to your comments, questions, and continued conversations!